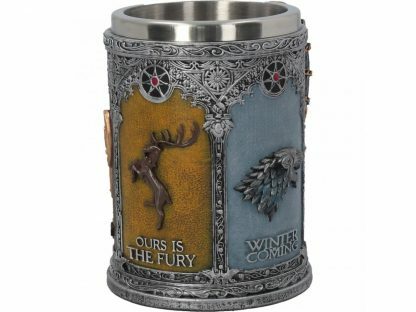 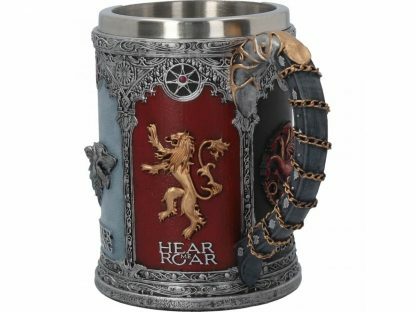 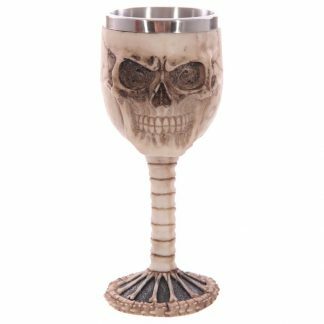 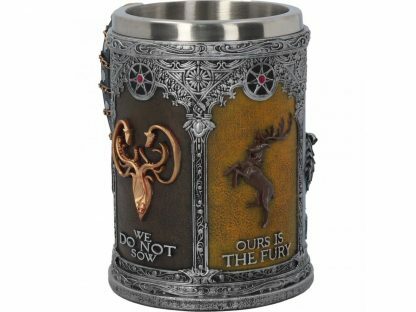 Officially Merchandised Game Of Thrones Sigil Tankard. 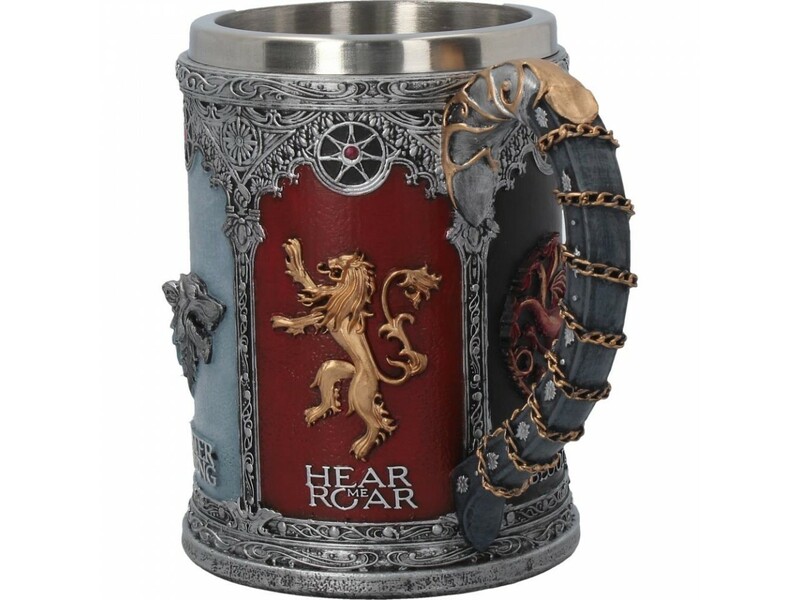 The handle of the tankard curves out from the body between the Lannister and Targaryen sigils. 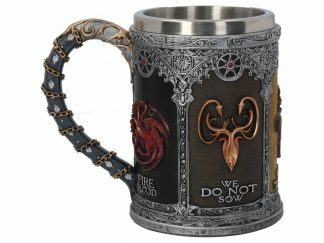 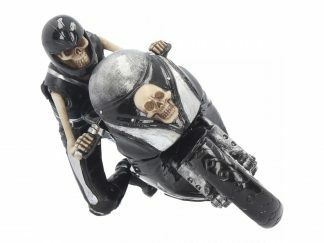 It is black and wrapped in gold chains. 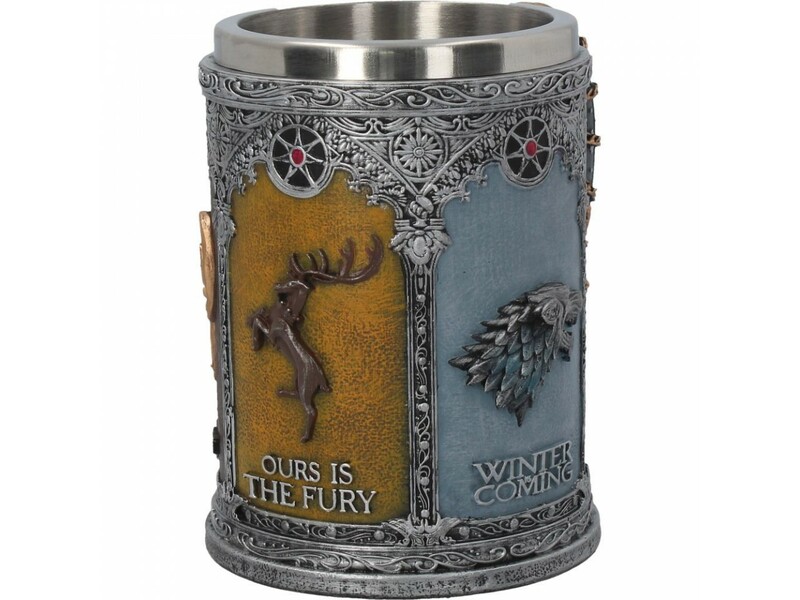 Removable stainless steel insert for easy cleaning.